Who doesn't love The Lego Movie? With a theme song that shouts the film's awesomeness, becoming one of its brick-bodied, eternally happy characters is everyone's dream. 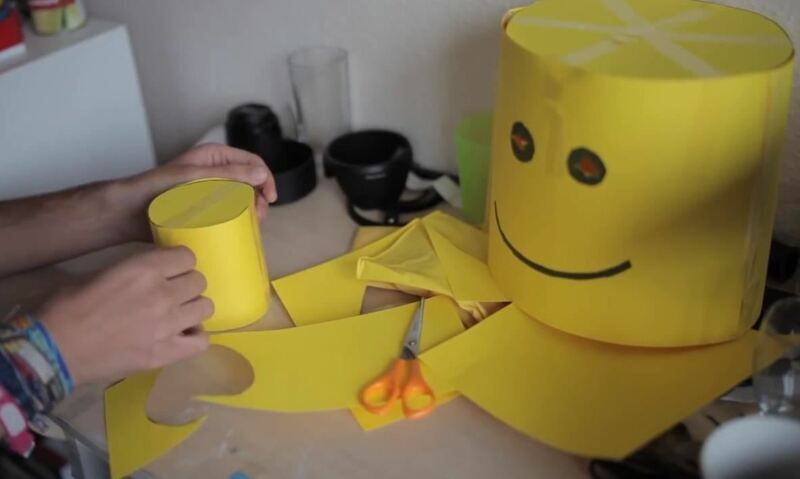 If you've ever relied on scissors and tape to craft your Halloween costume, get ready: creating a costume based on Emmet, Wyldestyle, or any other Lego character will be just as easy. 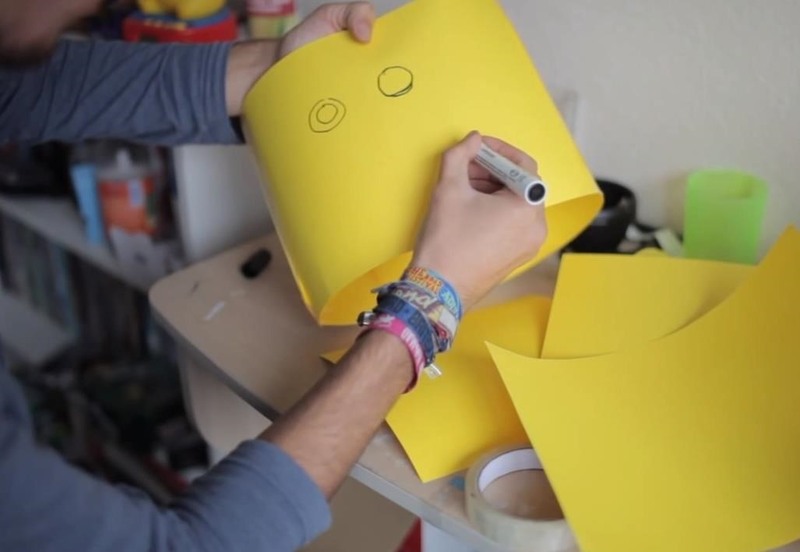 All you need is to create that recognizable yellow head, and you can accessorize until you've achieved the perfect Lego superhero or master builder look. As Jack Pollington explains in his Lego costume tutorial, constructing a Lego character is easy, requiring only a few simple supplies. 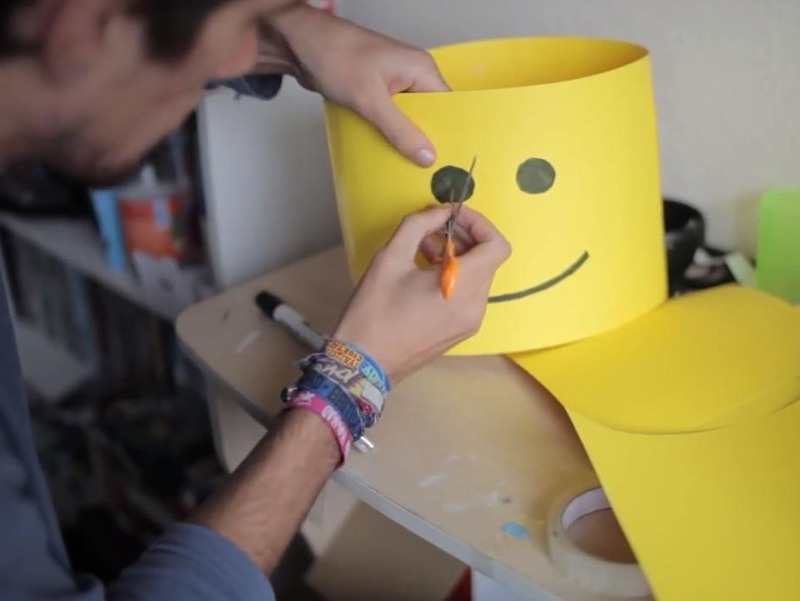 Gather a cardboard box, a plastic flowerpot, a black marker, tape, and enough yellow construction paper to make a giant head. From there, begin shaping your Lego head, adding those recognizable eyes and mouth—the steps are the same, whether you're aiming for bad guy or master builder. Once you've sculpted the perfect pair of circular Emmet eyes, it's time to add the little Lego nub to the top of your costume's head. 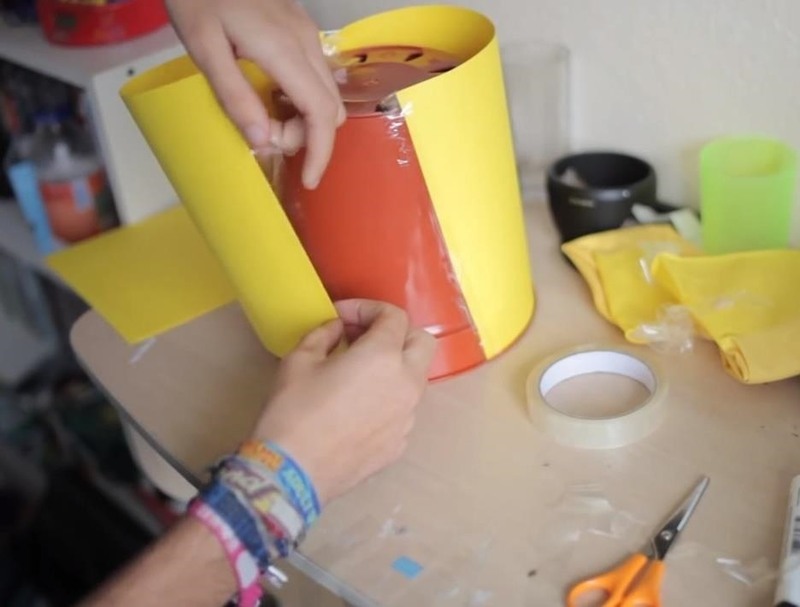 Add another, shorter cylinder of yellow paper to your planter-based mask, and you're good to go. Once your Lego head is finished, you're ready to pair that versatile mask with any character costume from The Lego Movie, whether it be Batman, the Flash, or a Teenage Mutant Ninja Turtle. Of course, if you want to make an even more accurate The Lego Movie costume that's totally awesome, Jack offers instructions on creating a boxy Lego body as well. Check out Jack's tutorial in full below. After crafting a Lego head and boxy body, feel free to customize both to your liking. By adding a bit of dark yet colorful hair like Wyldstyle, or covering up in a robe and set of long locks like Vitruvius, you can create any Lego-themed costume as needed! Show off your creations in the comments below, and check out all out other Halloween guides to do-up the season in style.